Sania Mirza with husband Shoaib Malik. Indian tennis star Sania Mirza and her husband, Pakistani cricketer Shoaib Malik, sure make for one lovely couple. As Shoaib celebrates his 36th birthday today, wife Sania has wished him with the sweetest birthday message. 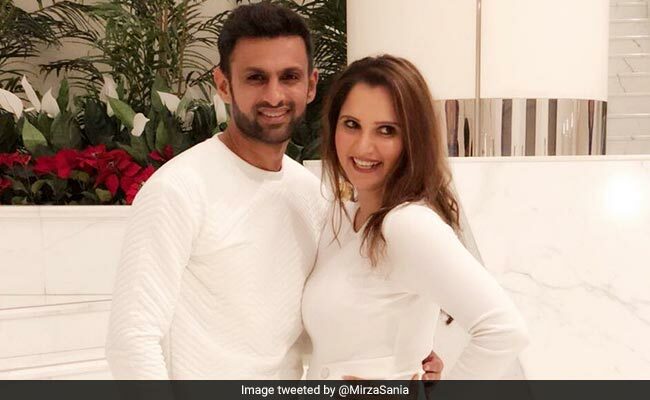 About 12 hours ago, Sania Mirza took to social media to upload an adorable picture with her husband to wish him on his birthday. Wearing white outfits and huge smiles on their faces, the two look gorgeous together in the photograph. Definitely couple goals, we would say. Could these guys get any cuter?